Durable mug made of clear BPA-free Tritan. With carrying strap, a large opening, a sturdy screw to shake leak-free, measuring in ml/oz, removable compartment for the storage of protein powder and a separate insert for the storage of tablets. Dishwasher safe. This mug is perfect to mix sports drinks without lumps, thanks to the special shakerball and the round bottom design. Includes instructions. Capacity 650 ml. Contigo® The best in quality, design and technology. Immediately recognisable by its sleek and stylish design, strong and solid. 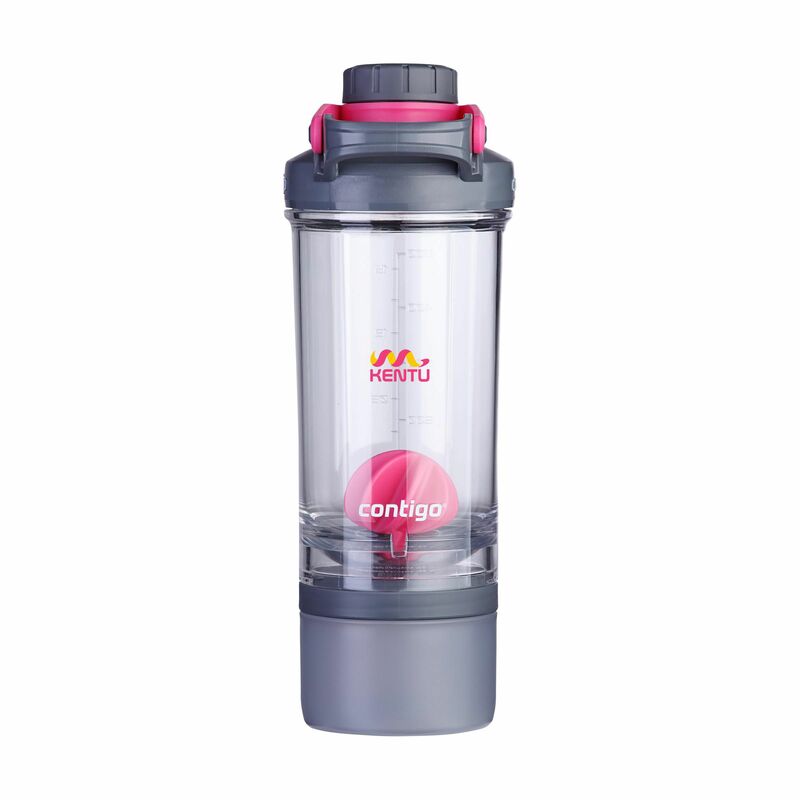 The innovative Contigo® water bottles and thermo cups are odourless, tasteless, BPA-free. The drinking bottles are operated one-handed and guaranteed to be 100% leak-free, so can be used on the go. Our top favourites for a durable promotion!